ATLA is pleased to welcome exhibitors to participate in the 2018 ATLA Annual Conference held in Indianapolis, Indiana, June 13-16. Exhibits will be available June 13-15. 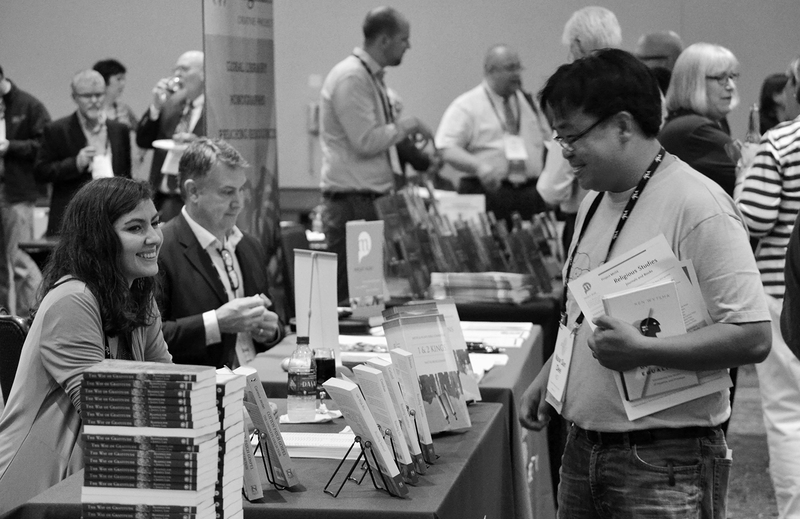 The exhibit hall is an important part of the ATLA Annual Conference, providing opportunities for attendees to learn about the new products and services available to theological libraries. Check out the ATLA Exhibitor and Sponsor webpage for more information on our exhibitor or sponsor packages, rates, and key dates. We also have updated our FAQ page just for Exhibitors and Sponsors. Lock in the best exhibitor rates by submitting the Exhibitor Contract before November 30. If you have further questions, please email exhibits@atla.com. We also invite our members to download and share the Exhibitor Prospectus with vendors and partners who may be interested in attending the 2018 ATLA Annual Conference.